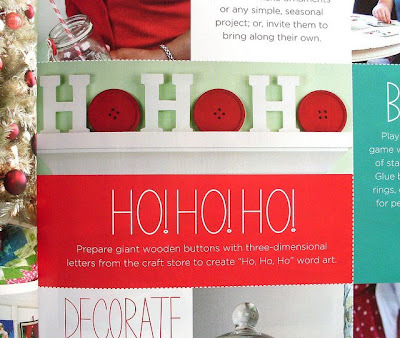 ... and in the fun "Christmas button bash" feature which includes ideas for button-y party invites, food, gift-wrap and decor. Just look at the size of that button! It's a wooden trivet by German designers Snug Studio, measuring a massive 25cms (10inches) across. I don't even have a kitchen of my own at the moment & all my other cooking equipment is packed up in boxes but how could I resist such wondrousness? Simply put: I couldn't. I bought my trivet from their DaWanda shop after spotting it in the DaWanda winter Lovebook but you can also shop from them over on Etsy. 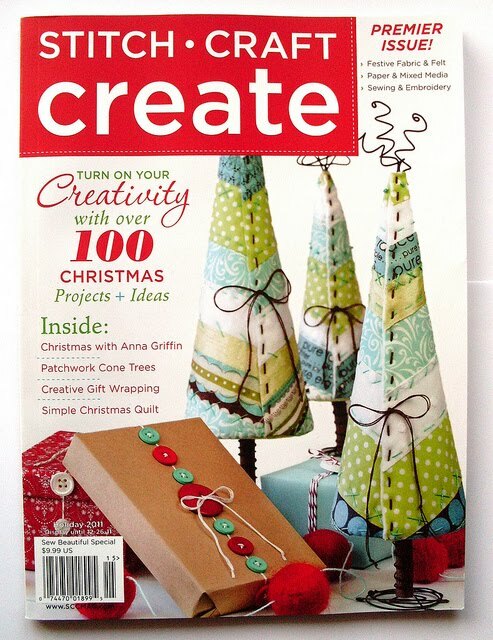 Oh what a lovely new magazine. 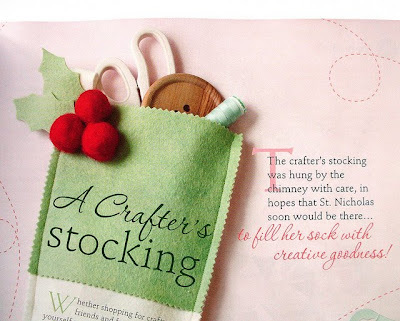 I like the idea of the crafters stocking I hope that I have one of these waiting for me on Christmas day. That is soooo cool! Congratulations. I agree - that giant button is very neato. Love it! 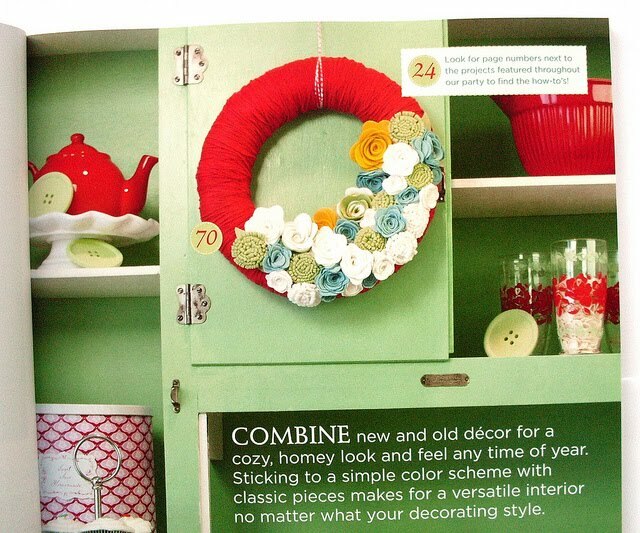 a giant button as a trivet?! how cool is that!! 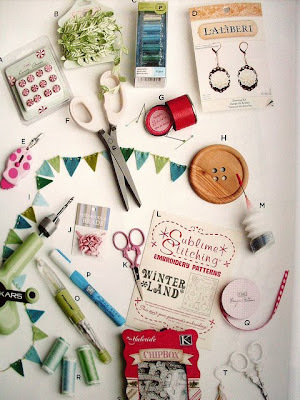 buttons are so fun and versatile, love them! Peonies and Pennies - the crafters stocking feature is a lovely idea, isn't it? 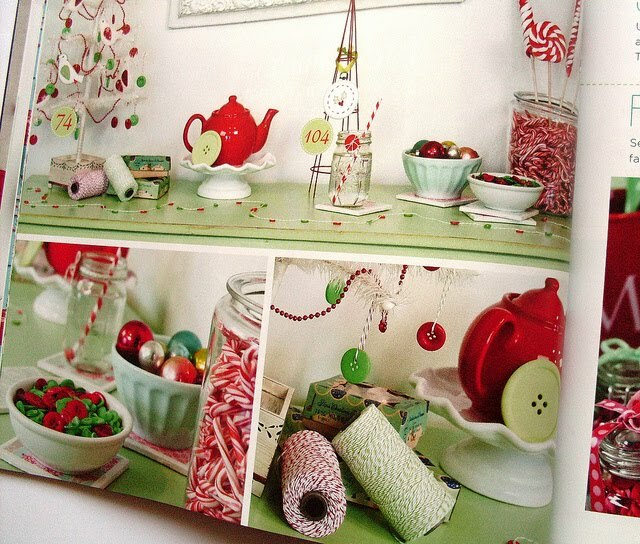 They also had a fab idea for making up colour-themed jars of yummy craft supplies (buttons, ribbons etc) to give as gifts to your crafty friends.